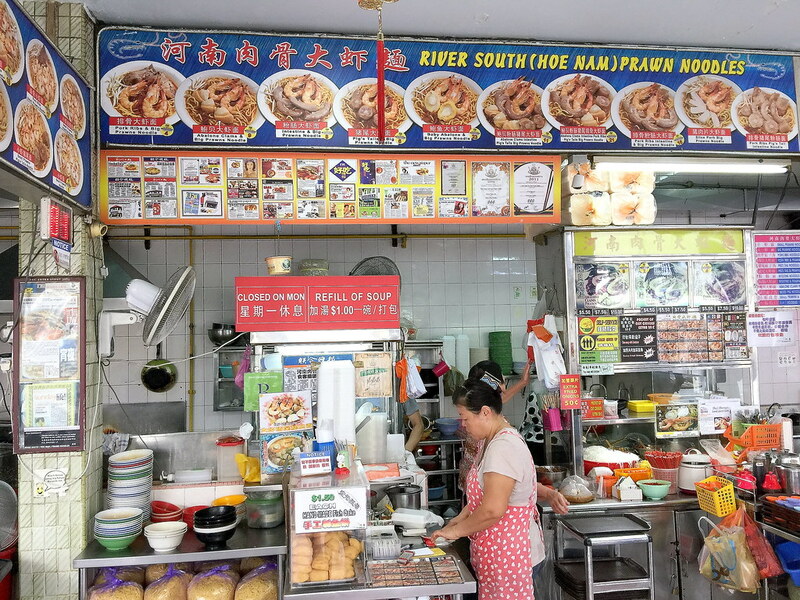 River South (Hoe Nam) Noodles House (河南肉骨大蝦面) is a well known prawn noodle stall in Macpherson area which was first established in 1971. I probably should not labelled it as a stall as they owned the entire coffeeshop selling the popular prawn noodles. 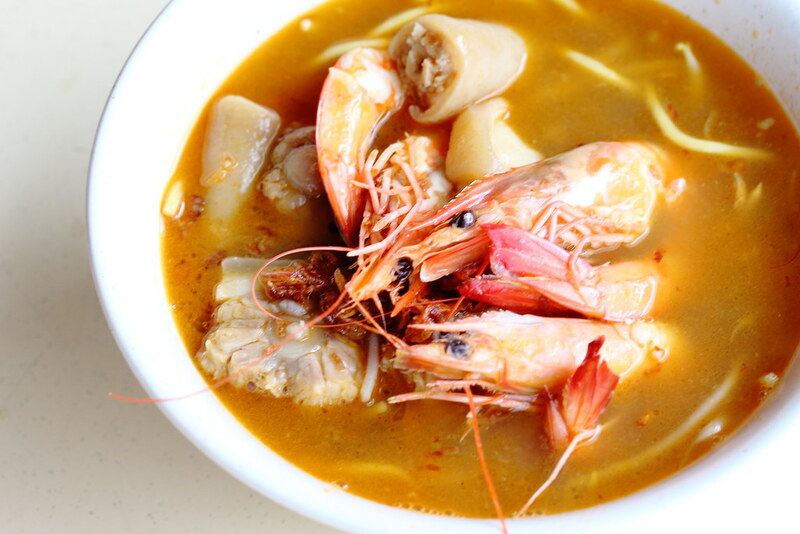 Over the years, a simple bowl of prawn noodle has included more variety to suit the taste and request of customers such as pork ribs, pig tails, pig intestines and even baby abalone. 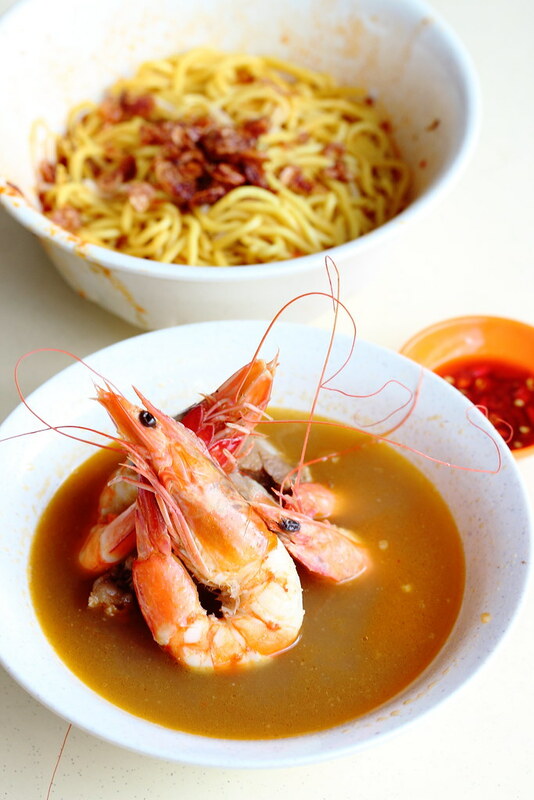 There is around 10 variety of prawn noodles available at the stall. First I tried the Prawn Noodle Soup with Pig Tails ($5.50/$7.50/$10). I had the medium size at $7.50 which comes with 3 huge prawns and succulent pig tails. I like the fact that the prawns are peeled, leaving on the head and tail. It allows for easy consumption and at the same time enhanced the presentation. The cloudy soup was sweet and robust with the beautiful prawny flavour. If you need a further kick to the soup, you can help yourself to the chilli powder on the table. Beside the prawn noodle soup with pig tails, I also tried the Prawn Noodle Dry with Pork Ribs ($5.50/$7.50/$10). The noodle and soup is served separately. I find the soup tasted sweeter compared to the prawn noodle soup version. I suspect this is because of the noodle in the soup diluting it, reducing the sweetness. 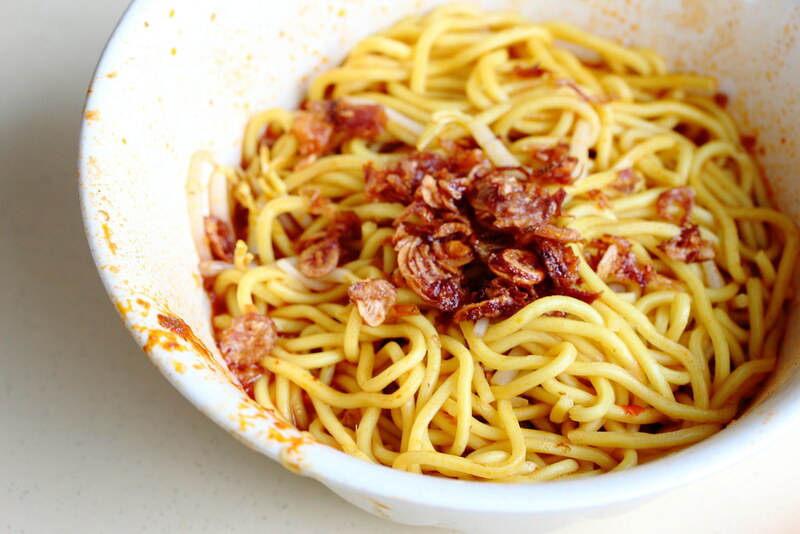 The other highlight of the dry version is the chilli sauce and fried shallot that enhanced the whole enjoyment of the dish. Actually this is not my first visit to the stall. I tried to check out the place on several occasions but I have ended in disappointment. Not sure why but it was closed during my previous visits. It seems like they don't really follow their business hours. Hence do prepare for disappointment if you plan to check out the place.